PORT MORESBY: Telling lies to hide the truth from being known does not help to solve problems but it only exacerbates the situation, says the Opposition Leader Don Pomb Polye. Mr Polye said this when responding to the Prime Minister Peter O’Neill and his Treasury Minister Patrick Pruaitch, who lashed out at the Bank of Papua New Guinea for forecasting a revenue shortfall of over K12 billion from the extractive sector in 2016 Budget due to the downturn in commodity prices. 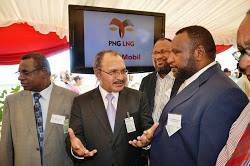 “They must be lairs to criticize the Bank of Papua New Guinea. “Our people have to believe in institutions and not the Prime Minister and his economic ministers who usual paint rosy pictures about the state of the economy,” he said. He said they politically make such ‘grandstanding statements’ for the convenience of investors and political stability. “What are they doing about it? How are they going to address the appalling economic conditions created? Polye asked. He further said the truth was the foreign reserves had dropped, adding businesses were finding it hard to sustain their operations due to strict foreign currency rationing. “The level of inflation has taken toll. “There is less cash in the Waigani Public Account as the government is struggling to repay its loans, including K3 billion UBS, off-budget loans, other commercial banks, EXIM bank loan, and K2.1 billion owed to the Nambawan Supa among others. “The Opposition has always been vigilant on issues of national importance twelve months in advance. If they have been taken heed of the warnings we have given, the risks would have been minimized and managed,” said Mr Polye. He said confidently that ‘the bank and other financial institutions do not tell lies’ as they substantiate their facts with integrated systems of governance, and economic and financial networks worldwide. “In other words the Prime Minister and the ministers are telling the bank to shut up so that they can have good time mismanaging the country’s economy. “It is very sad that they told lies,” he said. Polye recalled the Prime Minister and his economic minister were boldly assuring the landowners that the proceeds from the sale of the LNG were kept safe in a trust account within the bank. “The bank spilled the beans that there was nothing of the sort. It only confirmed that the Opposition was revealing the truth about the proceeds,” he said. Polye has urged Papua New Guineans to believe in everything the bank says about the foreign reserves, trust accounts, market values and import/export cover among others. “They must be lairs. They don’t need to be one but they have chosen to be. “I always want to tell the truth as it hurts. The truth guides us so that we mitigate the problems,” he said.